The phrase above is written in Lapine - a fictional rabbit language in the book Watership Down, by Richard Adams. Strangely enough, after reading the book, you can read that phrase and know exactly what it means. 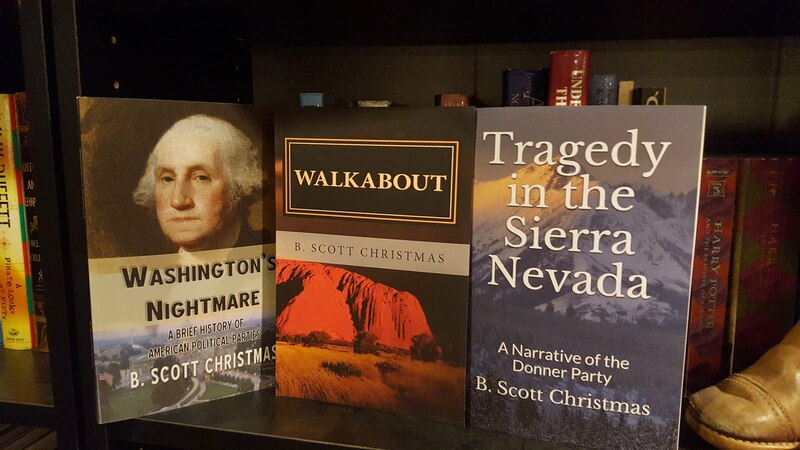 A continuous bestseller since it was first published in the early 1970's, I first heard of this novel, strangely enough, playing trivia at Buffalo Wild Wings. I distinctly remember a question that asked something like: "This novel about talking rabbits was made into a 1978 animated film." Four possibilities were given. I got the answer wrong, and was shocked to discover that the correct answer was "Watership Down," because that did not, in any way, shape, or form, sound like the title to a book about rabbits who could talk. I suppose I was thinking of something military or sci-fi akin to "Blackhawk Down," although I had no idea what a "watership" was. Aren't all ships "water" ships? Anyway, the next time I came across this book was while watching my favorite TV show, Lost. In one of the episodes, Sawyer is reading Watership Down, with the cover and title clearly visible. The third time was just recently when reading White Fire, the latest Agent Pendergast novel by Douglas Preston and Lincoln Child. In it, a character tells another character to read Watership Down. After that, I decided the third time's a charm, so I bought the book and read it. 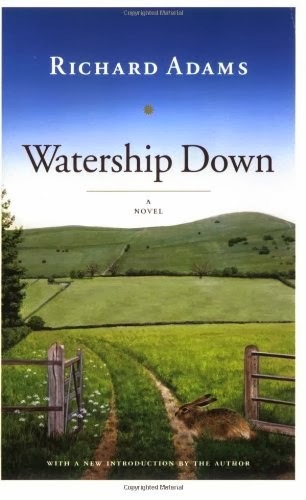 Turns out, "Watership Down" is the name of a hillside in rural England. A bit like "Churchill Downs." Anyway, as noted above, this book is about the adventures of a group of talking rabbits in rural England. It's technically a children's book, but the writing style is more for adults than kids, and adults are certainly the ones who have made it a best-seller for 40 years. The author claims that the book was inspired by a very long story he told his daughters during a car trip one day, and he asserts that he did not intend the story to be allegorical in the way that, for instance, Animal Farm by George Orwell is allegorical. However, most people who have read this book over the years, myself included, can see some distinct allegorical components within the adventures of the rabbits. To describe the story briefly, a group of rabbits led by a buck named Hazel learns that their warren is about to be destroyed by men building a neighborhood. As such, they set out on a sort of Odyssey-like adventure across rural England, searching for a new place to settle down, dodging dangers along the way. They eventually find a perfect place on Watership Down, but then get involved in a war with a neighboring warren that culminates in a final battle for supremacy and survival. The book took me a bit of time to really get into, and even after I got into it, it bogged me down in a few places. There are countless descriptions of mundane things like traveling through the woods, grazing, "passing hraka" (which is Lapine for defecating), and sitting around planning things. In that sense, it reminded me a bit of the long, dull passages in Lord of the Rings where all they do for pages and pages at a time is walk through the woods. Additionally, you practically have to have a PhD in botany, with an emphasis on the flora and fauna of rural England, to understand a lot of the descriptive passages. The author's knowledge of all the plants and animals of his country is overwhelming at times. "They were coming to a thicket of juniper and dog roses, tangled at ground level with nettles and trails of bryony on which the berries were now beginning to ripen and turn red." Despite these criticisms, I really loved this book by the end of it, and even shed a little tear at the Epilogue. Adams develops the rabbit characters quite well and you feel a closeness and kinship with them - like you are part of the warren, sharing in their adventures and dangers. You definitely root for these characters and despise their enemies. The author also works in various words of the Lapine language so that you know exactly what the rabbits are talking about when they refer to the dangers of a hrududu, or when they stop to listen for the sounds of nearby elil. It gives a charming sort of aspect to the characters. Finally, the rabbit community has a very well-developed mythology, akin to a rabbit religion (the sun, named Lord Frith, is their god), and they love to tell stories about their rabbit heroes of old. These stories are a nice touch, a sort of break from the action as all the rabbits hunker down deep in the burrow to listen to the troubadour rabbit tell his tales of the great rabbit prince El-hrairrah and his partner Rabscuttle. In the end, despite what Richard Adams has said, you can't help but feel that the story is allegorical in many ways, a long metaphor for human life, with its drive for survival, comfort, and blessings, the reality of good and evil, heroes and villains, lovers and fighters. Even the religion of the rabbits seems in many ways allegorical - like humans, they have gods built in their own image, whose attributes are all the best of what rabbits hold dear - trickery, speed, cunning, intelligence, etc. It reminded me of an old notion attributed to the Greek philosopher Xenophanes, who argued that if horses had gods, they'd look like divine horses. As such, human gods are pretty much just divine humans. So too, rabbit gods are divine rabbits. Anyway, despite the slow pace of the book and the descriptive passages that are sometimes overdone, I really enjoyed this novel and would recommend it to anyone interested in reading a modern classic.